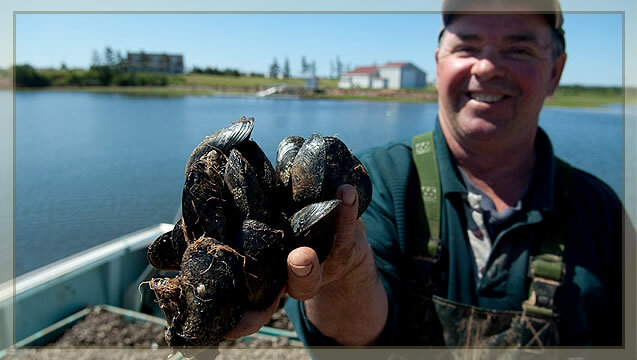 From the clean and bountiful waters of Prince Edward Island comes top-quality shellfish recognized the world over for flavour, freshness and nutritional value. The Island waters provide idyllic natural conditions for the growth and development of healthy shellfish, including Island Gold blue mussels, as well as rich and hearty oysters, clams and quahogs. Prince Edward Aqua Farms maintains the highest possible standards of freshness for its shellfish. 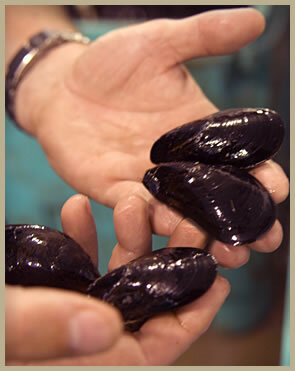 Through a variety of harvesting processes, mussels are available year round. No shellfish is packaged prior to being ordered and by shipping seven days a week, consistent quality and peak freshness are always ensured. For centuries, shellfish has been a large part of Island culture and since 1989 Prince Edward Aqua Farms has proudly been part of that tradition.Today, the customs of the past meld with today's innovative technology to produce the freshest, most succulent shellfish possible.